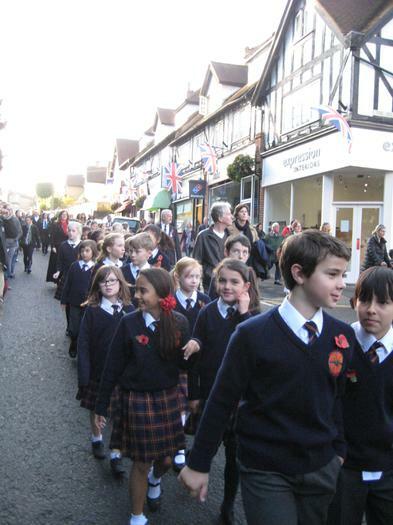 oday, over 50 children from Chalfont St Peter Church of England Academy represented the school for the Remembrance Sunday Parade. 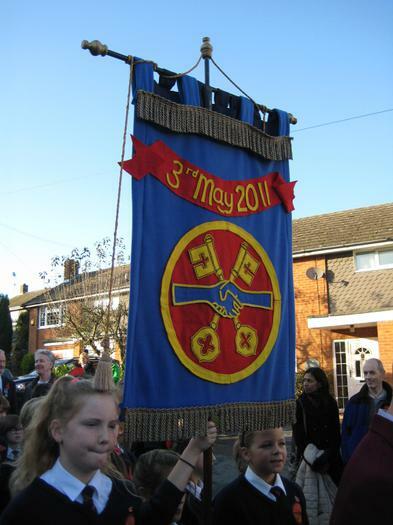 Many of our pupils were also part of the parade, representing organisations such as the Scouts and Guides. 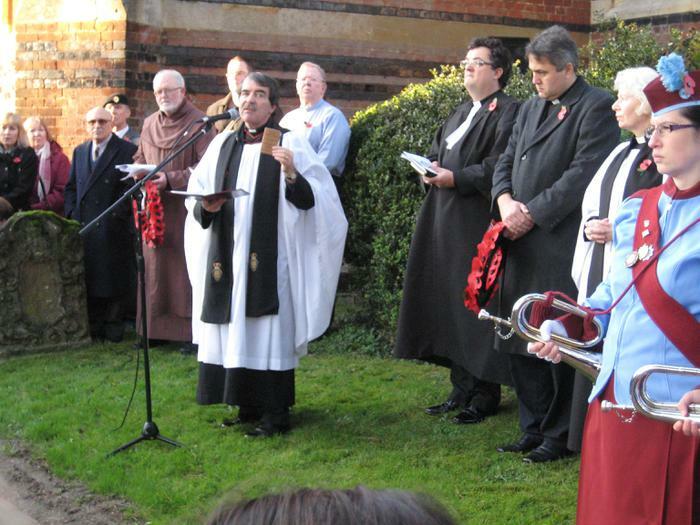 Amidst bright autumn sunshine, the parade gathered at Tunmers Green near the Leisure Centre in Chalfont St Peter and paraded behind the band from the Girls' Air Cadets through Market Place to gather around the War Memorial in the churchyard of St Peter's Parish Church. The pupils of Chalfont St Peter CE Academy looked magnificent in their uniforms and in such large numbers! Following a short ceremony where each organisation laid their wreaths at the foot of the memorial, the children then proceeded into the Church Hall for a lovely children's service led by Revd Jim King and new curate, Ben Topham. Singing songs and hymns which we sing in school, "Where have all the flowers gone? ", " The Prayer of St Francis of Assissi", "Love is flowing like a river" and " Give me oil in my lamp" our children sang well to add to the large numbers which packed the hall. 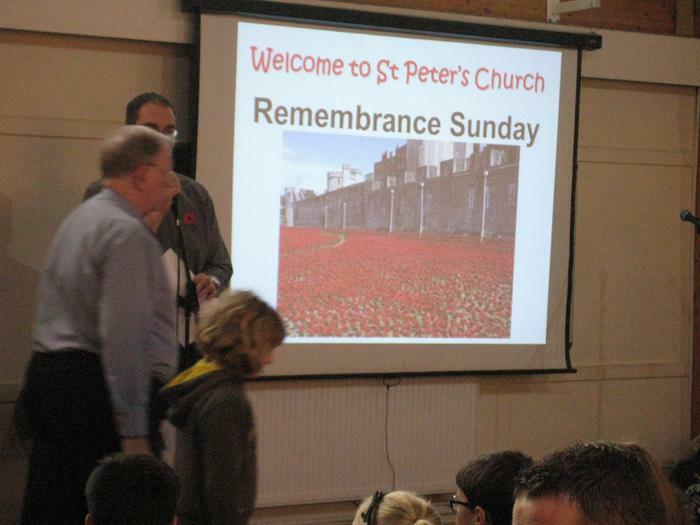 The service reflected on the significance of the poppy, worn by all attending and the constant drive to achieve peace, encouraging our new generation of children to be "peacemakers". Our children were presented earlier in the week with a copy of St John's Gospel by St Peter's Church- a replica of those that were given to the soldiers going to war in 1914 aswell as a small keepsake book, created by Ben Topham which is a collection of stories and items about WWI. With 5000 copies created any attendees were inviting to receive one too. As Headteacher, I felt an immense sense of pride in our children who represented the school so fantastically. Each will be presented with a Remembrance wrist band as a memory of the day's parade and service. Well done and thank you to members of staff and friends of the school who also paraded with us.